This tour can be paired with once-in-ten years Oberammergau Passion Play tickets & a 2-night hotel stay. PLAY TICKET PACKAGE MUST BE BOOKED ASAP. 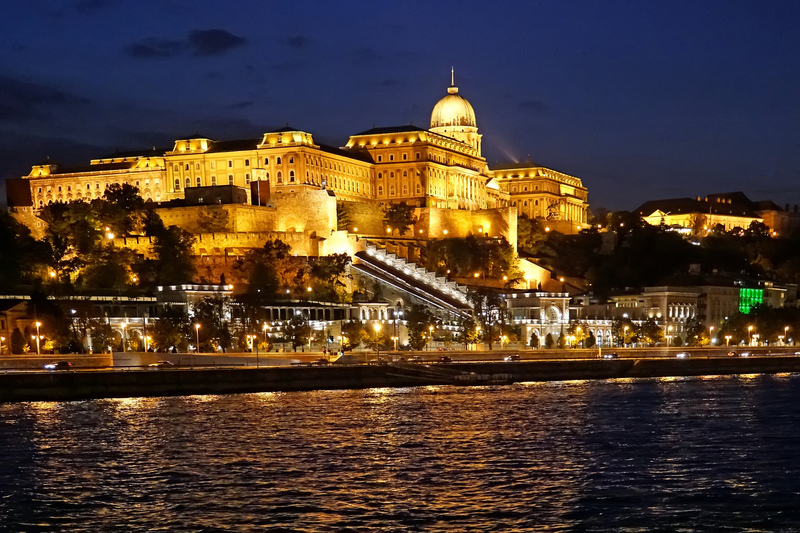 Arrive in Budapest—Hungary’s enchanting capital city! The day is yours to relax and stroll the city with time for photographs, cafés, and confections. This afternoon, embark your river cruise ship and settle in, then enjoy dinner on board. Enjoy a guided sightseeing tour of this pearl of the Danube in the heart of Europe, including visiting the iconic Heroes’ Square. Take in the beauty of Budapest during a free afternoon exploring such famous sights as the Chain Bridge. Get to know the city’s cafés and pubs or take a hike through the hills above the Danube. Overnight cruise to Bratislava. Arrive at Bratislava, the capital of Slovakia, a fascinating combination of past and present. Take a guided city walk to see the quaint streets of Old Town, Town Hall, and the fantastic St. Martin’s Cathedral. If you’re so inclined, borrow Nordic walking sticks from the ship and hike to Bratislava Castle. Later, watch live entertainment on board. Overnight cruise to Vienna. Vienna, the capital of Austria, is famed for its music history and magnificent sights. Begin your time in here with a sightseeing tour of the city, including the Kuntskammer’s remarkable collection of more than 2,100 valuable objects, which were collected through the centuries by the emperors and archdukes of Habsburg. Later, choose either a complimentary ticket to a local Viennese Museum, or continue exploring with additional guided sightseeing. You may also decide to take an optional guided excursion to Schönbrunn Palace—the former imperial summer home and vast gardens with a history spanning 300 years of the Habsburg monarchy. In your free time why not stroll through pedestrian Kärntnerstrasse—the most famous shopping avenue in central Vienna. Take a bike ride through the city and stop in a local café to sample authentic Austrian confections of Sachertorte or Apfelstrudel. Later this evening, you may choose to attend a Royal Waltz Concert for an unforgettable evening of music in an elegant hall. Overnight cruise to Dürnstein. Join a guided walk at the ruins of Dürnstein Castle and hear the legendary tale of King Richard the Lionheart—who was imprisoned in the castle during the crusades. Or for a more active experience, take a guided hike up to the castle ruins, to see the spectacular view of the village, Danube River, and the Wachau Valley below. Later, stretch out on your ship’s deck as you sail through the Wachau Valley past vineyards, castles, and charming villages on your way to Melk. In Melk, take a guided tour of the magnificent Benedictine Abbey to marvel at its frescoed ceilings, statues, incredible library, and ornate pipe organ. Overnight cruise to Linz. Fall in love with the legendary art, music, and food of Linz! On an escorted walk through the city’s historic and beautiful sites along the shore of the Danube, see Hauplatz—Austria’s largest medieval square—and the towering white-marble Trinity Column. Consider an optional full-day guided excursion to Salzburg, the city of Mozart, or visit the picturesque Bohemian town of Cesky Krumlov. Feel free to enjoy the afternoon on your own to bike along the banks of the Danube with a picnic from the ship, or hike through Linz’s beautiful nature trails to Pöstlingberg for a birds-eye view of the city and river below. This morning, cruise through the Schlögen Oxbow, a particularly beautiful horseshoe-shaped bend of the river. Join a guided city walk to learn more about Passau, known as the “City of Three Rivers,” where the Danube, Inn, and Ilz Rivers meet. Or for a more active excursion, hike from Oberhaus along a trail down to the valley and along the Ilz River. Spend a little free time wandering along the cobblestone streets and into the galleries of Artists’ Alley or peek into St. Stephen’s Cathedral to possibly catch a concert rehearsal. Overnight cruise to Deggendorf. Join a tour of the medieval Bavarian city of Regensburg to see the Altes Rathaus (Old Town Hall) and Porta Pretoria—built in 179 AD as the entrance to the Castra Regina fortress. Savor a hearty lunch and then step back in time through historic lanes and squares of today’s modern and vibrant Regensburg. Continue on to the Golden City of Prague. Prague is often considered one of the loveliest cities in the world. Simple pleasures and grand surprises await you around every corner. On a city walk, visit Hradčany Castle Grounds, and see St. Vitus Cathedral and Old Town’s Astronomical Clock. Later, you may join an optional excursion to uncover the secrets of Prague as your expert local guide takes you to Charles Bridge and Mala Strana—two of Prague’s most romantic and picturesque spots. Consider sampling delicious plum dumplings beside the Vltava River. Mingle with the locals and be mesmerized by street performers in Wenceslas Square, or browse the market stalls at Charles Bridge. In the evening, you can watch an optional Folklore Dinner Show, sampling traditional Czech cuisine in an authentic Prague setting. As you say farewell to your fellow travellers, think back on all the wonders the Danube has revealed to you as you journeyed up the river.